With the winter Olympics beginning soon the name Vinko Bogatej comes to mind. Anyone remember him? 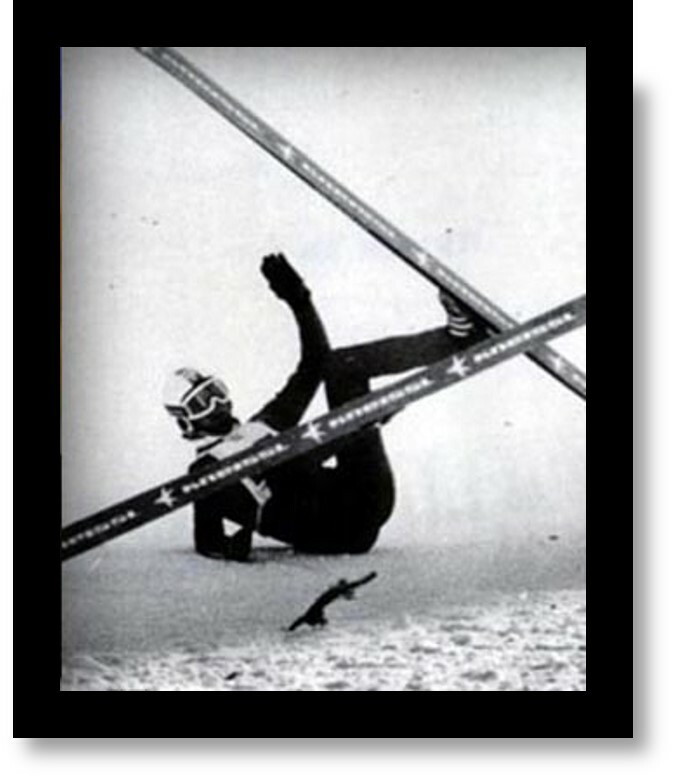 He was a ski-jumper from Yugoslavia who, while competing in the 1970 World Ski-Flying Championship in Obertsdorf, West Germany, fell off the takeoff ramp and landed on his head. A film crew from Wide World of Sports was recording the event when Bogatej crashed. The show featured host Jim McCay with the narration “The thrill of victory….and the agony of defeat.” with a montage of sports clips showing celebrations of sports victories. Bogatej’s failed jump was inserted to illustrate the defeat. Bogatej was hospitalized, but recovered and returned to competition. Later he became a ski instructor and then a coach. He’s married and has two daughters. Today, he has turned his hobby of painting into a successful venture with exhibits in both Europe and the U.S. I was reminded of that truth this week while reading Mark’s account of Peter’s denial of Jesus. But Peter emphatically insisted, “Even if I have to die with you, I will never disown you.” (Mk. 14:27-31). Immediately the rooster crowed the second time. And Peter remembered the words of Jesus. Failure. It hung in the air on that chilly night. It impacted Peter emotionally. Mentally. Physically. And spiritually. Peter had done the thing he never thought he would do. He denied Jesus. He forsook his Savior. He fell. He failed. The Bible says that Peter “went out and wept bitterly” (Mt. 26:75). Can you relate to Peter’s bitter tears of shame? Can you imagine the haunting thoughts that filled his mind? The feeling of failure? The heartbreak? The embarrassment? The disgrace? The dishonor? The agony of defeat? To a lesser or greater degree, we’ve all been there. No one is perfect. Everyone has the moments where they have not lived up to what they know is right. Times of trial. Times we’ve quit. Times of suffering, where we’ve given up. Times of temptation where we’ve given in. Sometimes life is tough. And then sometimes it gets tougher. But there is good news. You can overcome failure. You can defeat defeat. You can regain what you lost. You can find forgivness. You can begin again. Peter did. And so can you. Scripture records that Peter did not live a mistake-free life, even after his denial. But never allowed his failures to make him a failure. He knew how to examine himself. Admit his shortcomings. And start over. You don’t have to wallow in the shame of failure or the agony of defeat. You can get up. Make a fresh start. And move on toward the goal. There is help. There is hope. There is Jesus. You can move from failure to forgiven. The last exchange of “Do you really love me, Jesus uses a different form of word, which in the Greek is “agape”, but in our English versions we have the same word, so most Christians do not really know what kind of question Jesus is probing Peter with.